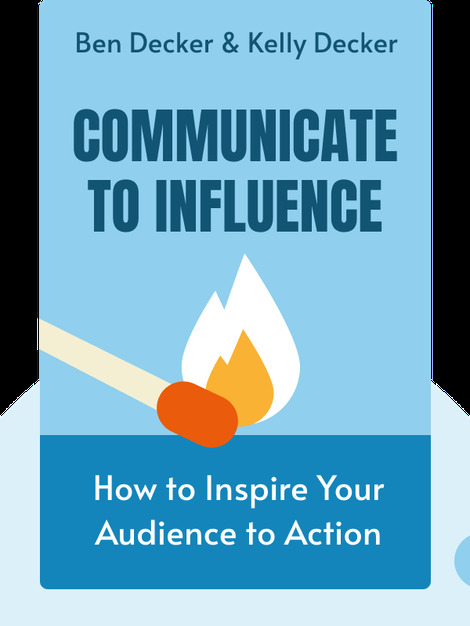 Communicate to Influence (2015) is a detailed guide to being an effective communicator. This covers everything from choosing the right voice to knowing how to structure and deliver your message. Gain a better understanding of the pitfalls of public speaking so that you know what to avoid, and discover some fantastic tools that will help turn your information dump into an inspiring call to action. 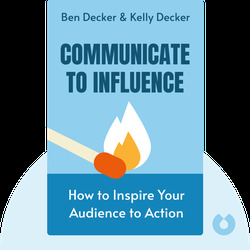 Ben and Kelly Decker are leading experts in business communication. They have vast coaching experience with ambitious startups as well as Fortune 500 companies. Together, they are the brains behind Decker Communications, a firm that has helped countless individuals improve their communication skills.